With social media usage starting to affect people’s real-life relationships with their friends and family, Facebook has announced new tools that it says will “help people manage their time on Facebook and Instagram”. The tools include an ‘activity dashboard’, a ‘daily reminder’ and a ‘new way to limit notifications’, all of which, the company believes, will give people more control over the time they spend online. The social media giant says it has collaborated with mental health experts, academics and others to devise these tools. The company also says it has considered the inputs from the community before introducing the new features to its apps. “Our hope is that these tools give people more control over the time they spend on our platforms and also foster conversations between parents and teens about the online habits that are right for them”, says the company. 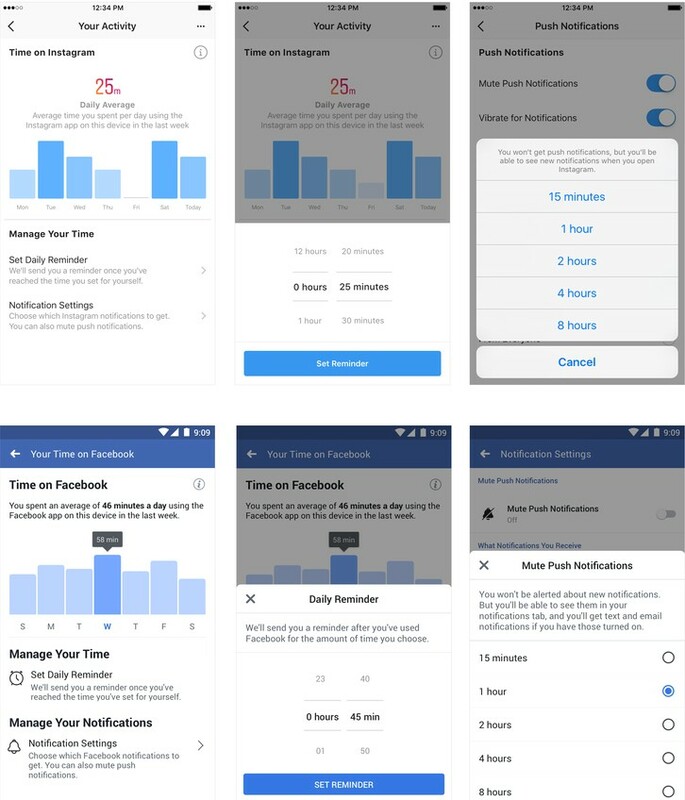 The tools can be accessed by going over to Settings > Your Time on Facebook, while on Instagram, users will need to tap Settings > Your Activity. As can be seen in the screenshots below, a dashboard on top will show the average time an user spends daily on that particular app on that device. Users will also be able to set a daily limit for the amount of time they want to spend on the app, and will receive a reminder once they hit that mark. Of course, the limits are completely voluntary/self-imposed, and can be changed or canceled at any time. There’s also a new ‘Mute Push Notifications’ setting that can be accessed by tapping on the ‘Notification Settings’ menu. “This will limit your Facebook or Instagram notifications for a period of time when you need to focus”, says the company. 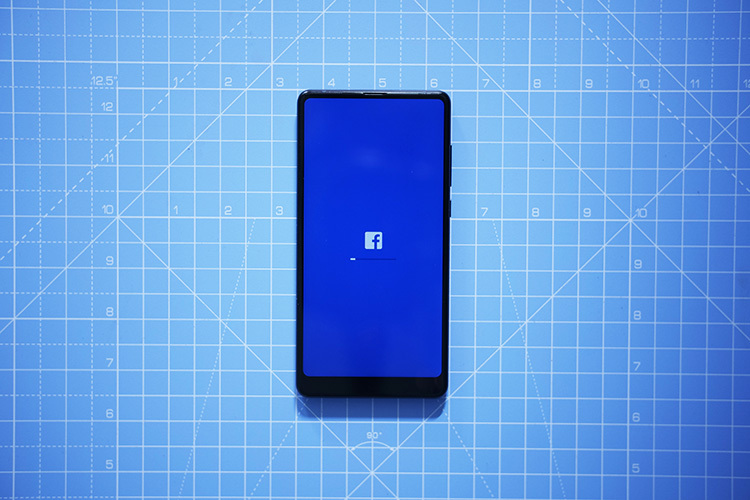 Facebook says that the updates will roll out ‘soon’ to both the platforms, and as can be seen from the images above, will be available on both iOS and Android (the IG screenshots are from iOS, while the FB screens are on Android). However, the company didn’t mention whether the features will also be available on the site itself so as to help desktop users keep a tab on their social media usage.